The western wall (the Kotel) is never a quiet place. The wall, the main reminiscence of the Herodian Temple, is the most popular Jewish pilgrimage site in the world, with more than 11 million visitors annually. The place has been a pilgrimage site from at least the 14th century, but during the last decades, it has also become a point of intersection of Judaism and Israeli nationalism. The conquering of the area during the 1967 war became an iconic moment, usually referred to by Jews as ‘the liberation of the wall’. In accordance with the claim of the Israeli state to continue the Jewish presence in the land of Israel, the wall status was soon regulated in a special legislation, which defines an Orthodox rabbi as the appointed person in charge of the administration of the place. Thus, the wall de facto became a huge Orthodox synagogue, run by the state of Israel, active nonstop 24h/365d (live stream). Today, many state ceremonies are held at the site, from soldiers swearing in to the Israeli army to the official ceremony for the fallen, initiating the annual independence day celebrations. Another common, though private celebration is, that Jewish boys who face Bar Mitzvah, probably the most important rite of passage in Jewish manhood, start by the western wall, wearing Tefillin (two leather boxes containing scrolls of parchment placed on the head and on the arm) for the first time in their life. 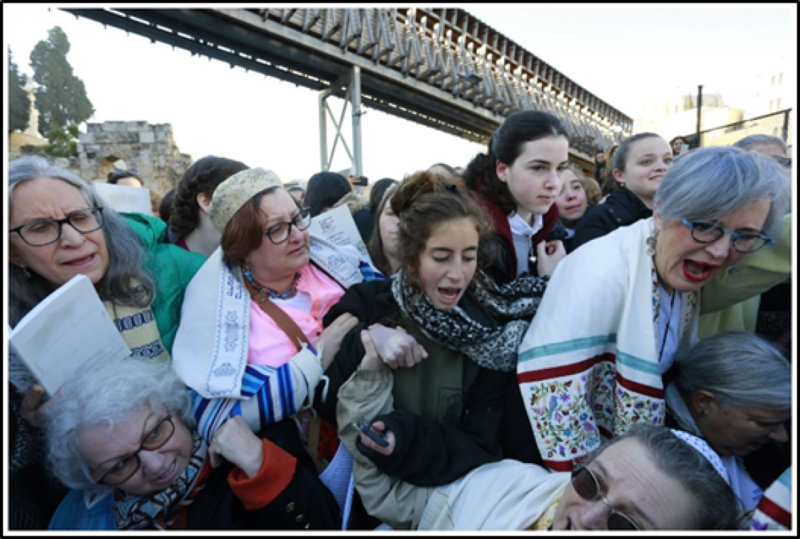 The pivotal importance of the wall may explain the riots evoked by the ‘women of the wall’ several days ago and the subsequent discussions all over the Israeli media. Hundreds of people were involved in the event, which included pushing, cursing, spitting and eventually ended by the intervention of a large police force - all of this at the most important Jewish site in the world. What have the ‘women of the wall’ done leading to such an aggressive response? On the surface, not too much. Since the place is run by Orthodox Jews, the western wall court is divided into parallel male and female sections, each one facing the wall, and the ‘women of the wall’ were praying at the women section. However, the group comprises mainly of Reformist and Conservative Jewish women, whose worship customs are different in one main characteristic: they use traditional mannish acts. Including the reading of the Torah, a distinct mannish intellectual act, and some of them wear the Kippa (skullcap), the Tallit (prayer shawl) and the Tefillin. All of these are exclusive symbols of Jewish manhood which are allowed to Jewish males after a series of initiation rites which establish their gender identity, in the case of Orthodox Ashkenazi Jews, the Kippa is worn by the age of three, reading the Torah for the public and wearing the Tefillin after the Bar Mitzvah at the age of thirteen, and wearing the Tallit after the wedding. In this context, the women’s active act of (re-)claiming the male roles can be interpreted as a challenge of the Orthodox gender order. Taking over these roles at the most popular religious Jewish site, is a claim to include non-orthodox streams as an official ingredient of Judaism in Israel, call it another brick in the Jewish wall. But there is more to this story. Taking into account the celebration of the first Tefillin, the soldiers swear ceremony and the annually commemoration day for the fallen, it comes to be clear that the western wall is a central site in the formation of the Israeli-Jewish manhood. Thus, the women activity is not just a refutation of gender in Orthodox Judaism, but also a challenge of the order of the place as such, with relation to issues such as theology, ritual, gender and nationality in Israel. Therefore, it is not a coincidence that both opposing parties use nationalistic phrases to enhance their arguments. 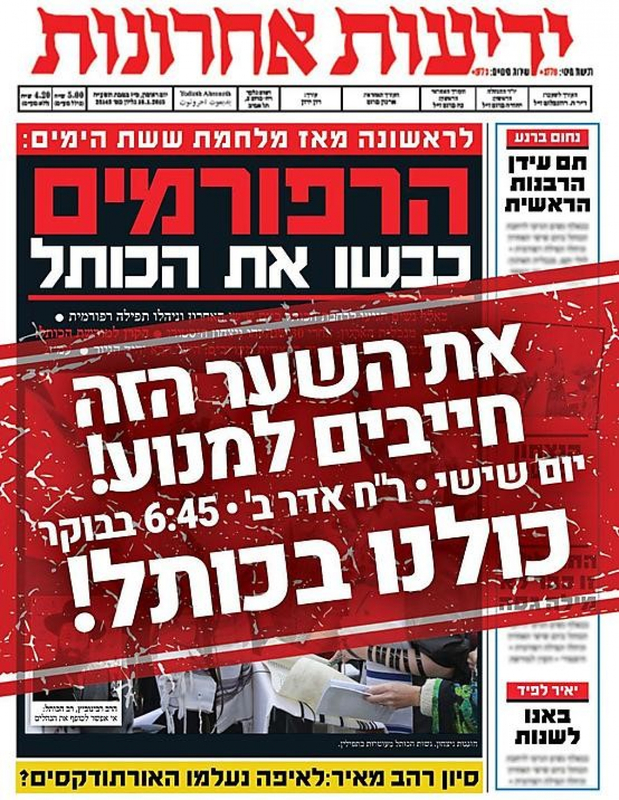 For example, toward the solemn prayer of the women of the wall on Friday 8 March 2019, Orthodox organizations published flyers designed as a newspaper front page, the headline declares, “For the first time since the six-day war: the reformists conquered the wall”. Similar phrases are used on the other side of the barricade. 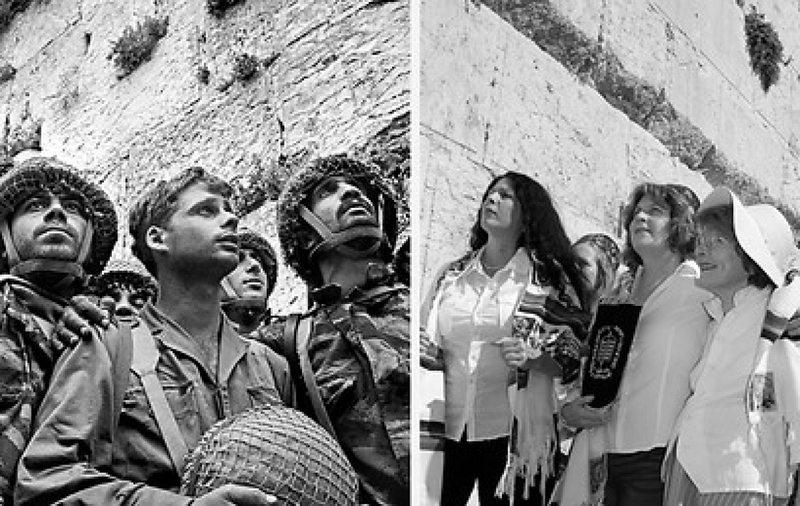 A striking example was the reenactment of the iconic picture of the Israeli soldiers who ‘liberated’ the wall by the ‘women of the wall’. Both sides obviously nourish (from) a nationalistic discourse, presenting each other as the nation’s enemy, in order to promote religious stance! The solemn prayer of the ‘women of the wall’ was celebrated on 8 March 2019, the international women’s day, also marking 30 years of activity of the ‘women of the wall' organization. The choice of this date, a symbol for both feminism and universalism, was probably perceived as a trigger which made the regular activity of the ‘women of the wall’ to become one of the most scandalous events that took place at the western wall during the last years. The intersection of nationalism, religion and gender is a central cultural characteristic of the Orthodox Jewish people in Israel and the conflict is far from ending. Learn more about sacred places in Israel/Palestine on our website.